Casey Neistat, the popular YouTuber who does daily vlog-like entries of the highest quality that are more often than not very entertaining to watch, released his Beme app today on Android for the first time. Initially launching as an iOS exclusive in beta, the app has received a bundle of improvements today while arriving on the good side of mobile. What is Beme? 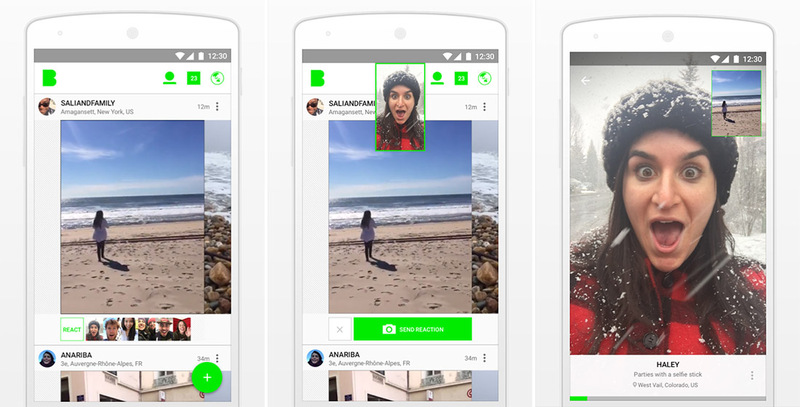 As the title mentions, Beme is another social video sharing service. Beme differs from others in that it wants you to capture real, in-the-moment type of shots that you don’t have much control over. That sounds odd (the control part), but the point here is that you could potentially create some fun clips of your day or life by not worrying about filters and editing and framing. Instead, by just shooting whatever is on the other side of your camera before sharing without touching any of it up, you get that “realness.” Make sense? To use Beme, you need to sign-up (obviously), but the video shooting part is probably something new to you. To start capturing, all you do is open the app and the hold your phone up to your chest and it begins recording. You don’t have a viewfinder to see what you are shooting, since Beme is trying to just capture whatever you are looking at. To end recording, simply pull your phone away from your body. In reality, all you are doing is covering up the top sensors of your phone to get it to record, so the body pinning of your phone isn’t necessarily necessary – a finger covering that area would work as well. Once done recording, the app automatically shares the clip to your friends and followers on Beme, to which they can then respond. You should be able to discover other feeds and find videos from all over the world, as well. But yeah, it’s another video sharing app. It is free.